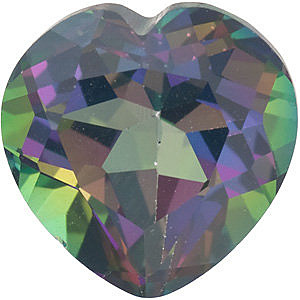 Heart Cut Genuine Amethyst in Grade AAA AfricaGems has in stock natural faceted Grade AAA Genuine Natural Amethyst Gemstones. 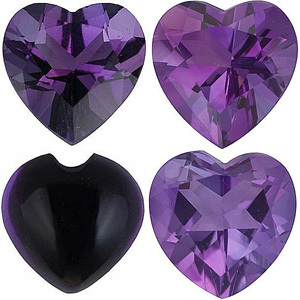 This is the finest grade available in natural Amethyst in standard calibrated sizes. 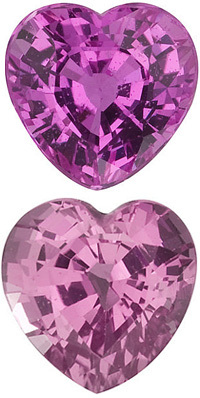 These fine Amethyst gems will display a bright pure purple color of rich deep tone (as picture shows). 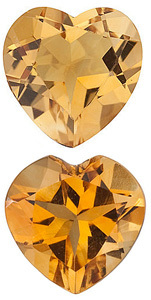 These gems have been faceted to a very high professional lapidary standard and have a very good make, polish and symmetry. 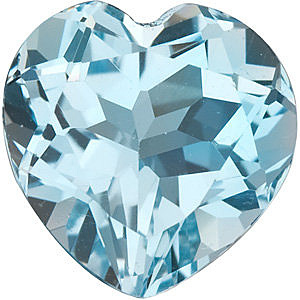 It has a clarity rating of Eye Clean Plus (VS), meaning that it can have very minute inclusions that can only be seen with the aid of a microscope. 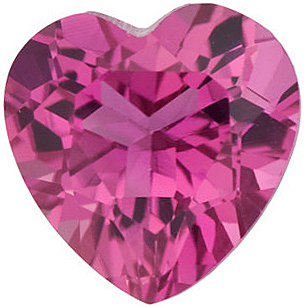 Our genuine Amethyst gemstones have undergone traditional heat treatment. 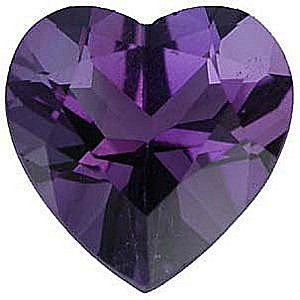 Amethyst gemstones are sourced from Uruguay or Brazil. 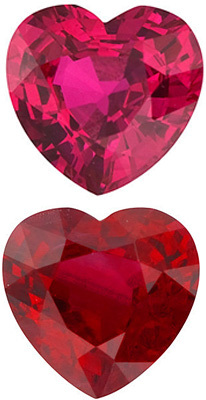 Heart shape gemstones are sweet, romantic and the perennial symbol of love. 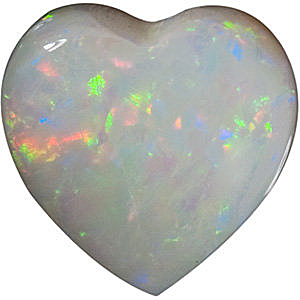 Whether it�s a familial love, friendship love, parental love or romantic love, Hearts are always appropriate. 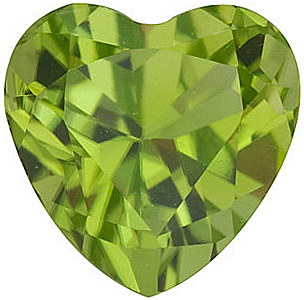 Heart shaped gemstones are eye catching and unique and add a lovely element to gemstone jewelry designs. 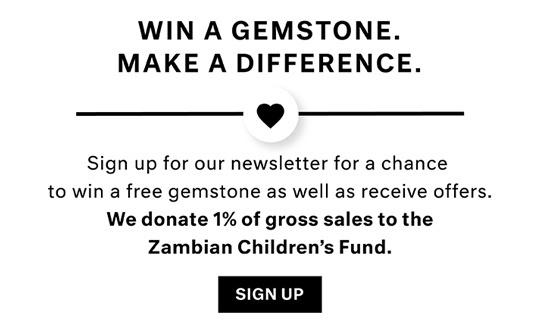 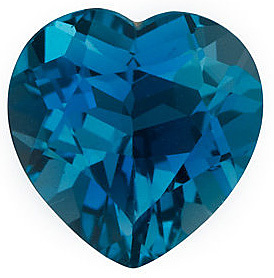 AfricaGems offers an incredible selection of heart shaped gemstones in standard sizes that feature over 20 different gem varieties. 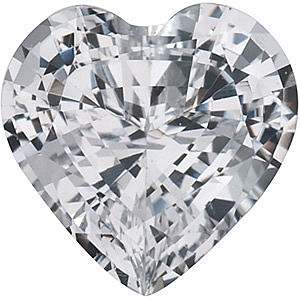 Interestingly, the idea of the heart shape necessarily connected to the heart organ, but rather the iconic fig leaf. 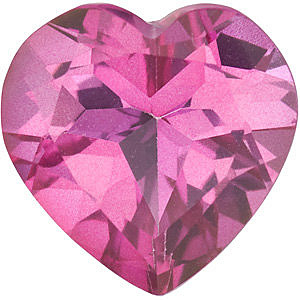 And it wasn�t until the 19th century with the commercialization of Valentine�s Day that hearts became a symbol of romantic love in popular culture. 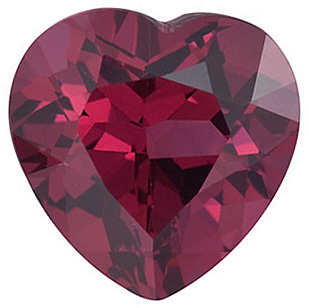 And while usually in fashion and jewelry the love symbolism is that hearts represents, they can represents life, health and nutrition. 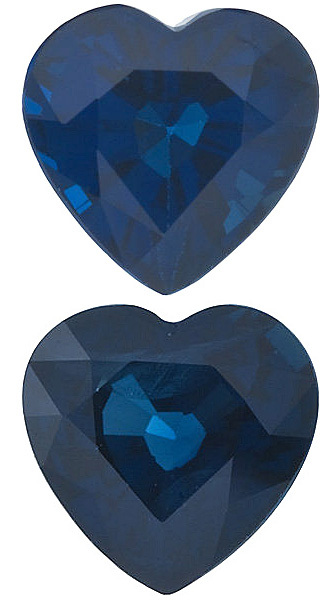 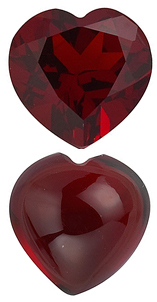 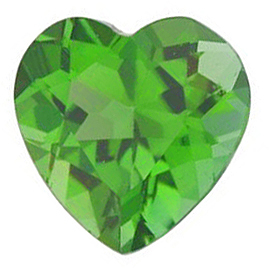 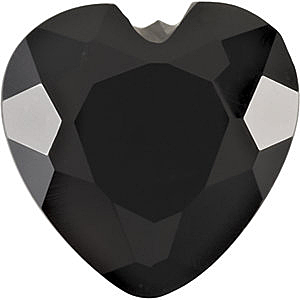 AfricaGems is the best place to buy Standard Size Heart gemstones for any custom jewelry project. 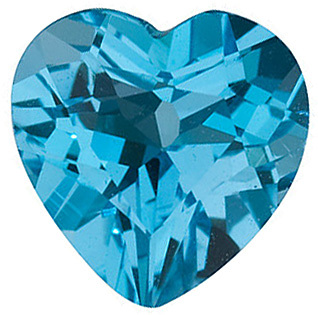 As always, we offer FREE shipping and FREE returns within 30 days.